Bracelet with crystal and black coloured stones. 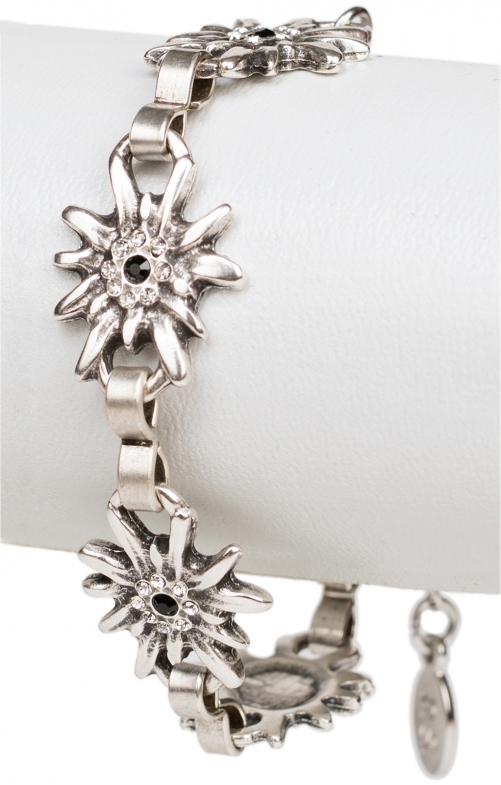 The bracelet has a length of 18 to 25 centimetres - depending on how the wearer likes it. It is made of precious metal and is completely nickel free. The incorporated stones in the individual elements are neutral and can therefore be worn as a jewel on the wrist with almost any dirndl. Often it is the little things that make up a very special charm in a traditional outfit.